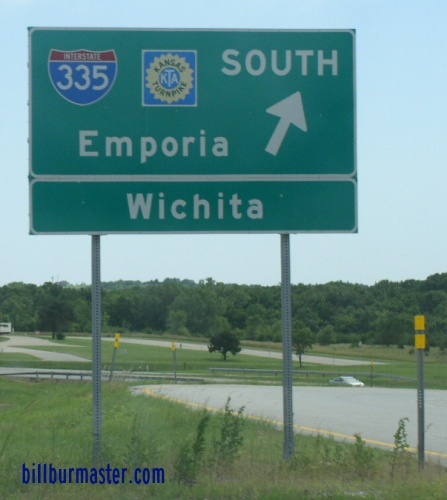 Interstate 335 is a north-south highway in East-Central Kansas. 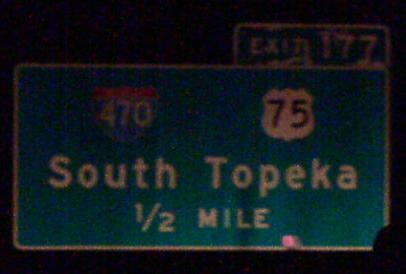 This runs from Topeka to Emporia. 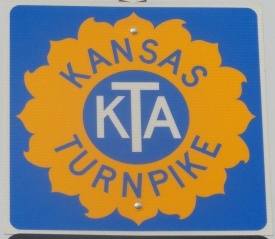 The entire length runs along the Kansas Turnpike. 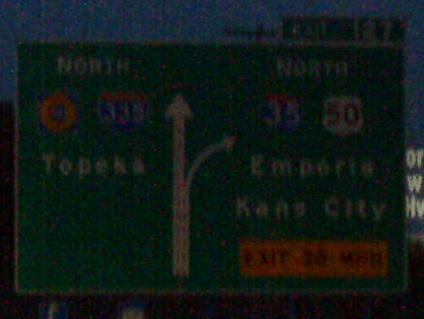 In Kansas, I-335 is not multi-plexed. 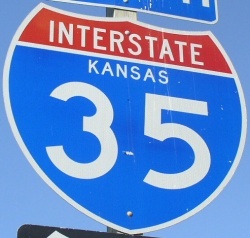 Interstate 335 crosses the following interstates in Kansas. 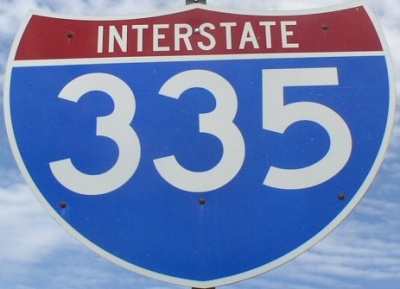 Info on the parent route for I-335. 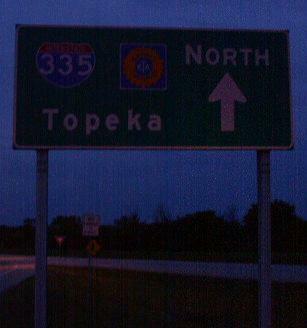 BGS at a service center on NB I-335/KT. 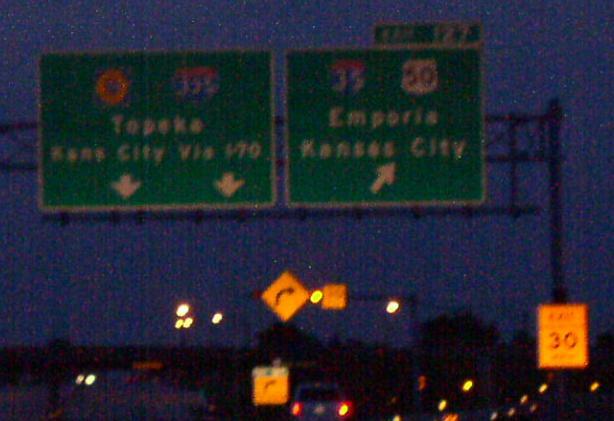 A BGS on SB I-335 at I-470. 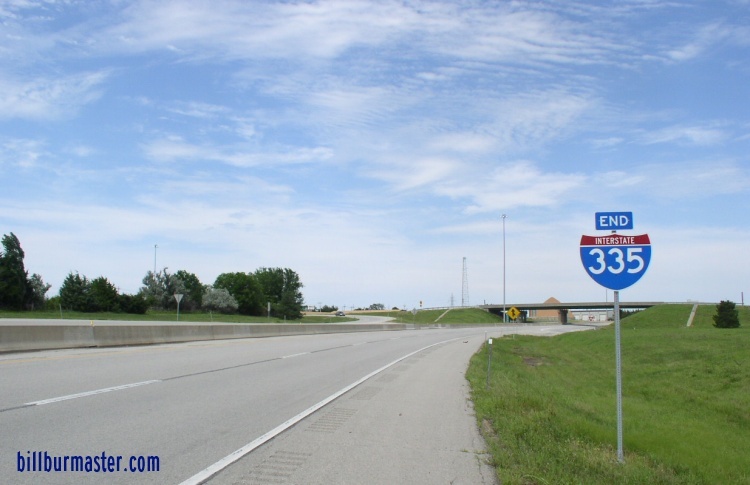 The northern end of I-335.